I tried something a little stronger and a bit longer - a one act play. I tinkered around with it for a few months and cranked out something called " In Between Days" - which was about a few arty college grads who realized they have useless degrees. 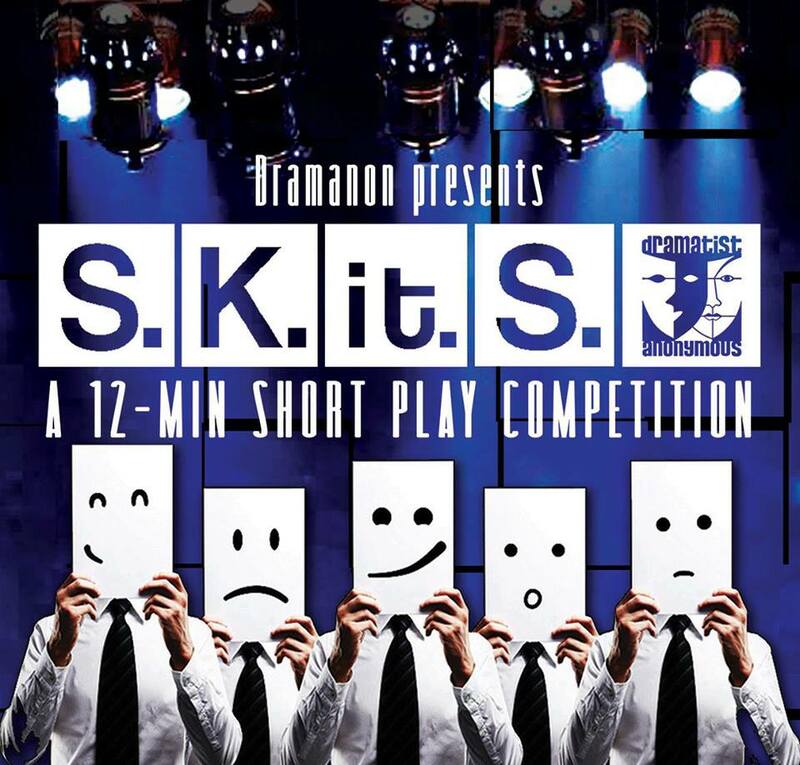 Through the generous guidance of college professor who taught playwriting - my one act was produced and staged for a writing conference. What a better way to learn than to see and hear your play in front of a live audience. Fast forward a year, I got ambitious entered a One Act Play contest in St Louis with "The Favor" - about a suicidal man seeking his own demise and death in a bad neighborhood. The Favor was picked as the one the finalist - hence produced and staged in front of a live audience. I also received a nice review in the local paper. 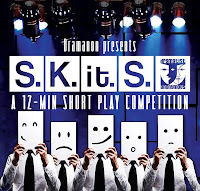 Rahul Reddy - an actor from Hyderabad, Andhra Pradesh in India -( who had appeared in one of my Murder Mysteries over there) - contacted me and asked if I would like to submit a work into short play contest held by Dramanon Hyderabad . A short work? You mean a Real work Not a murder mystery? 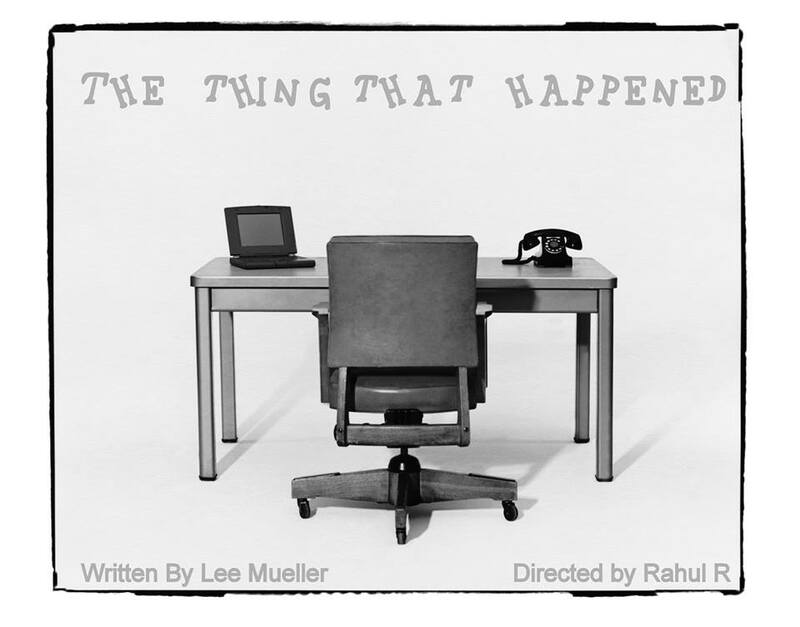 An honest to goodness real play - the sort of play I started out writing? You know, before the shark jump? Ok. Yes, I would very much like to submit something. I did. It was accepted into the competition and will go through the preliminary performances this weekend. If it makes it there - it will be onto the finals. 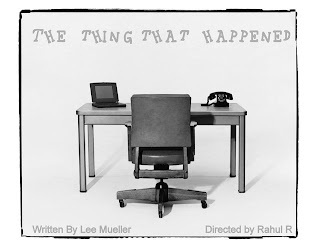 The play is called "The Thing That Happened." And really the thing that happened is someone from halfway around the globe snapped me back on the play path. We will see what happens.